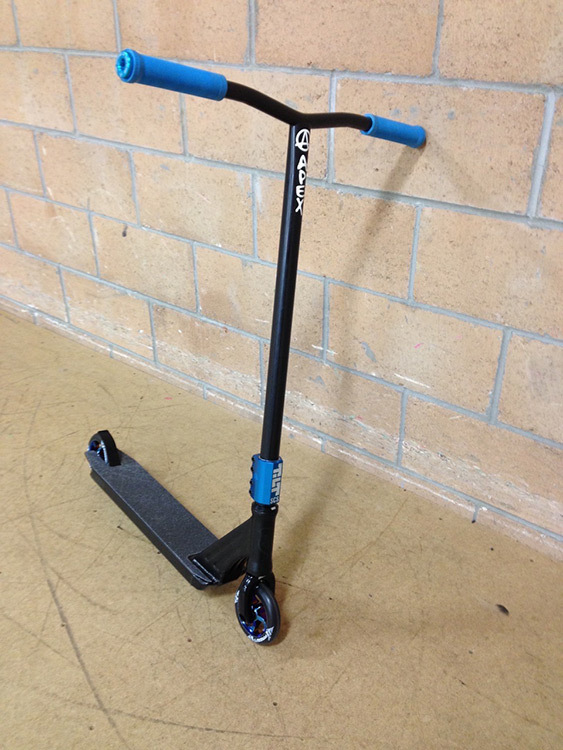 A cool blue bike with golden wheels. 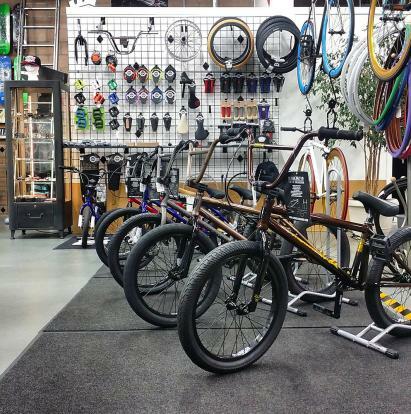 All accents in black. 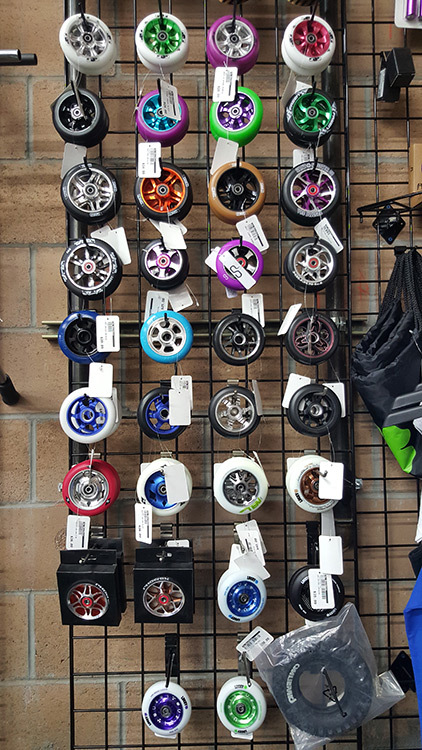 We now carry a full line of scooters and accessories. 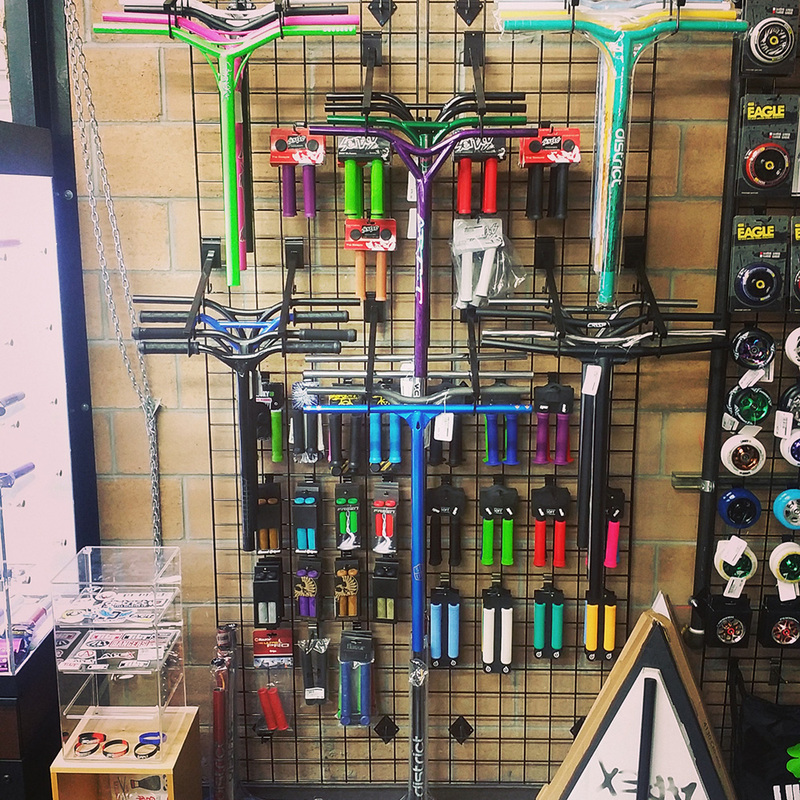 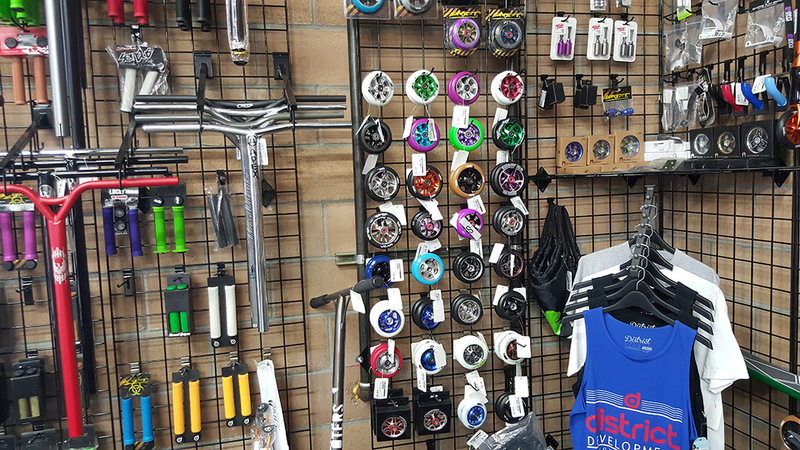 From completes, bars, decks, wheels, grips and more, we stock a wide variety of brands and styles. 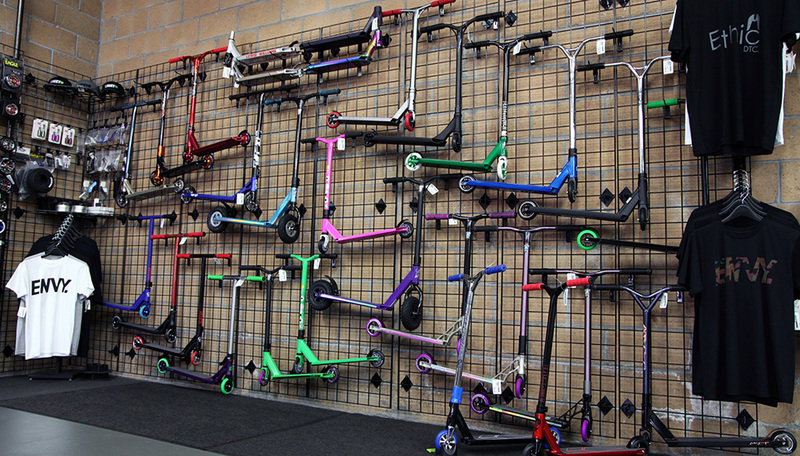 And along with our strong beliefs in movement, riding scooters is a great way to stay active and spend more time outdoors. 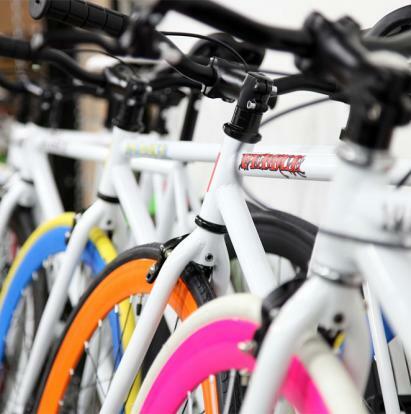 Whether you hit the streets with friends, mash the local dirt track or just an afternoon stroll with your favorite sounds playing in your ears, make sure you ride with style.